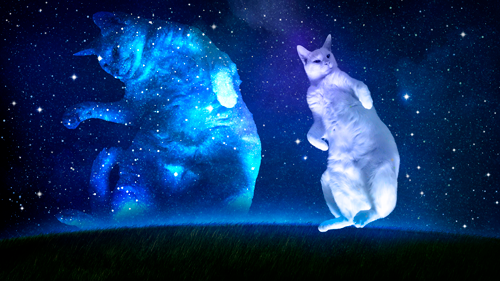 The cat floating in space* to the left is our cat, Sakura. She occasionally positions herself as if she wants a belly rub, and then is offended when I actually give her one. *Okay, she's not really in space. You can tell it was Photoshopped since she isn't wearing a space suit. Here’s another one. 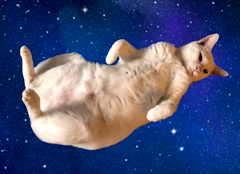 My nine-year-old daughter helped position the “cat in space” with this one.